The beverage giant is forecasting reasonable sales and strong operating profit growth, but expects a big hit from currency moves. Cutting costs to compensate is hard amid competition from rivals like PepsiCo. If Coke can’t adjust, its premium valuation will have to instead. A logo is seen on a Coca-Cola bottle in Zurich, February 16, 2011. Coca-Cola on Feb. 14 reported net revenue of $31.9 billion for 2018, down 10 percent year-over-year. Organic revenue increased 5 percent, while operating profit was up 14 percent to $8.7 billion. Organic revenue, which excludes acquisitions and one-offs, was flat in the North America region, but increased 5 percent in Asia Pacific, 7 percent in Europe, Middle East and Africa, and 11 percent in Latin America. The company expects organic revenue to grow 4 percent in 2019 and operating income to increase 10 percent to 11 percent. It said earnings per share would be between $2.06 and $2.10. Analysts were estimating $2.22 a share, according to I/B/E/S data from Refinitiv. 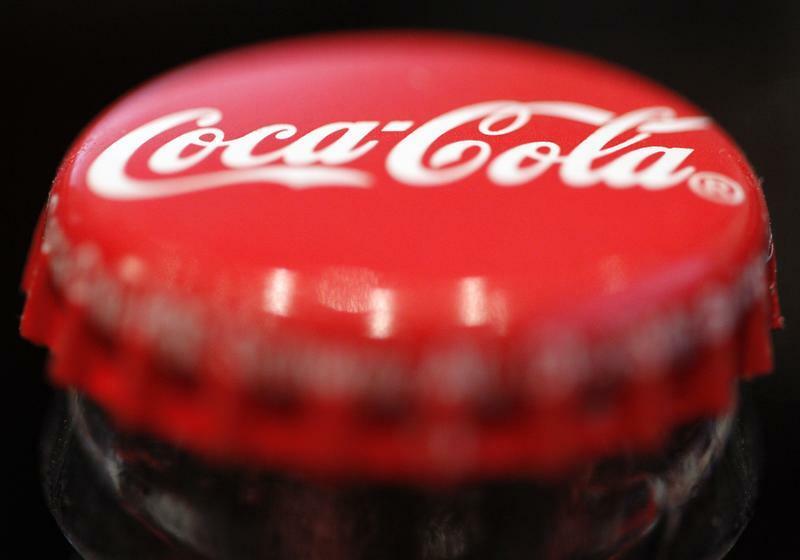 Coca-Cola shares were down 6.87 percent to $46.37 in New York at 10:16 a.m. EST.